Yes, we found – and stayed! 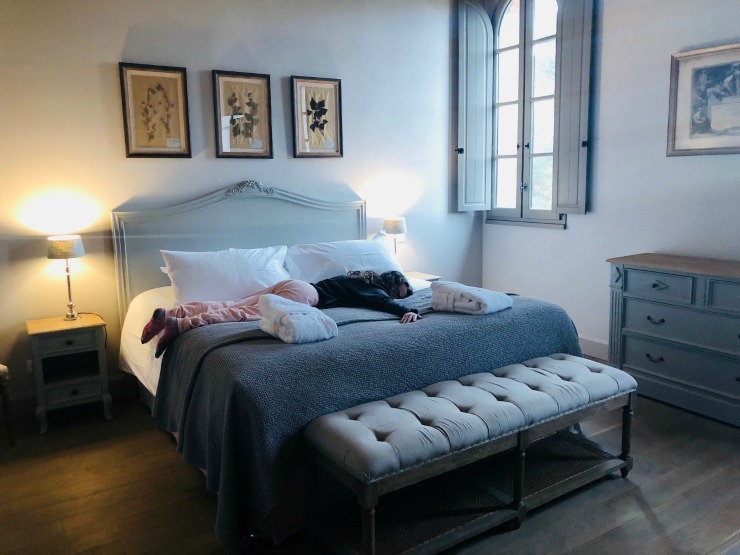 – in a family friendly château in the South of France! I know. I didn’t really believe it either. When you think of the south of France you think of a romantic getaway and wine tasting with your sweetheart. You typically don’t think of taking the kids. Let me stop you right there, because first of all – you can take your kids anywhere. It may not be as romantic but you can take them anywhere. You just need to know where to go and lucky you, here I am scouting it out for you first. This is what I LOVE to do. I honestly do not get any more satisfaction then showing people that what they think may be impossible, is totally possible! So, let me tell you about the amazingly chic, family-friendly château in southern France where kids are totally welcome. Château St Pierre de Sejac is just three hours from Barcelona. It’s the perfect French escape for anyone living in Barcelona or visiting Barcelona. 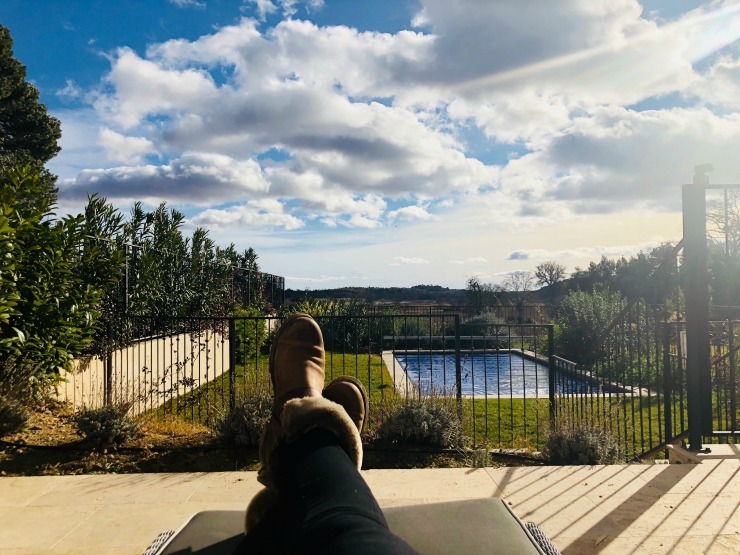 The Château sits just over the border in the Languedoc region of France, so if you are visiting Barcelona I say extend your trip a few days so you can get a little taste of the South of France. I mean, you’ve come all this way already so why not!? Please bear in mind that we visited Château St Pierre de Serjac in the off season just after Christmas. So while the vines may have been empty and it was a bit chilly that did not take away from how fantastic this place was. I could easily see how this place must be a real slice of heaven in the warmer months, when the sun is hot and the grapes are bursting from the vines. However, there was still beauty in the off season as well, you’ll see. This 200-acre estate dates back to 1870 and has a rich history in the wine-making business. The property was completely renovated and opened in the spring of 2016. In the original chateau building that overlooks the infinity pool, there are eight luxury hotel rooms, for those couples lucky enough to be taking a romantic holiday without the kids. I was able to peek inside one of these rooms and they are stunning. 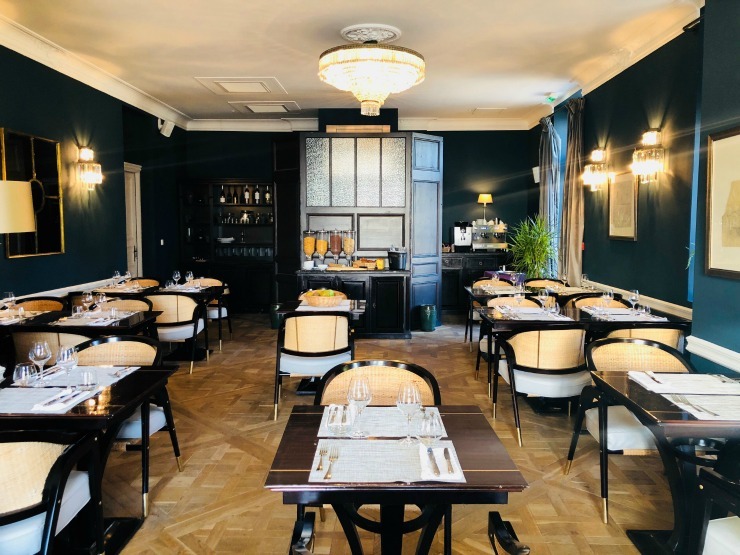 The original chateau is also where you’ll find the main dining room that serves breakfast, lunch and dinner as well as another cozy sitting room with the bar. Scattered around the rest of the estate are the 36 self-catering properties built specifically with families in mind. That’s right, the owners are parents as well, and they too want to go on a holiday where it’s comfortable and chic. There is a full spa on the property that offers a wide range of treatments. The spa also includes an indoor pool, jacuzzi, sauna and steam room. They even give you warm fuzzy blankets for cuddling up on lounge chairs both inside and outdoors. There is a beautiful event space for hosting large parties and events that also serves as a wine tasting room and wine shop. Inside this building and tucked just behind two large barn doors is where they have started to make wine again. The estate stopped making its own wine back in 2013. But a new state of the art winery was installed at the heart of the estate and a range of wine activities will also be available. September 2018 will be the first harvest to be made/blended at St Pierre de Serjac since the renovation. Château St Pierre de Serjac will call this wine “La Renaissance”. They created two wine walks for visitors and guests. The walks pass through vineyards where the different varieties of grapes are grown on the estate. A guide is able to explain the history of the Château and the terroirs. The experience includes a visit to the winery followed by a tasting of 6 wines accompanied by a selection of tapas. 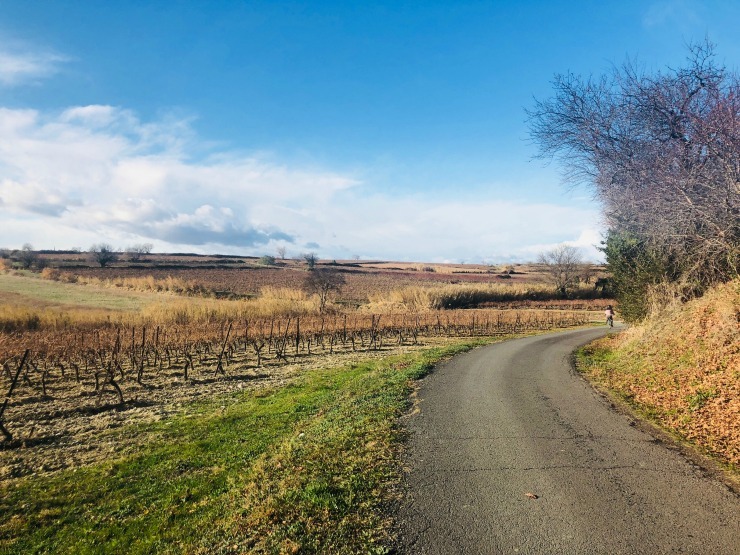 They also have natural truffles on the estate, as well as a plantation with a walk that explains all about the different grape varieties found in the Languedoc region. The 36 units range from one to four bedrooms and are generous in size. 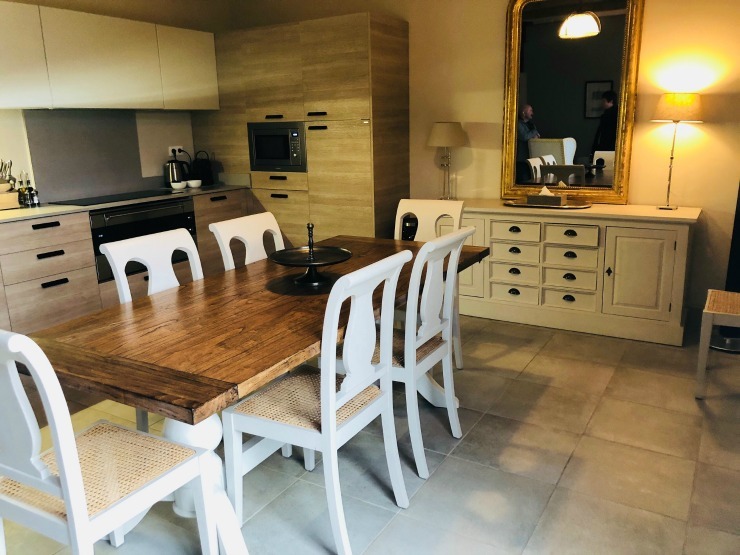 They are stylishly decorated and fully equipped with beautiful kitchens, large dining tables for family dinners, and cozy living rooms with fireplaces. Property amenities vary, but all have an outdoor seating area and a BBQ grill, and 17 of these units have their own private pools. 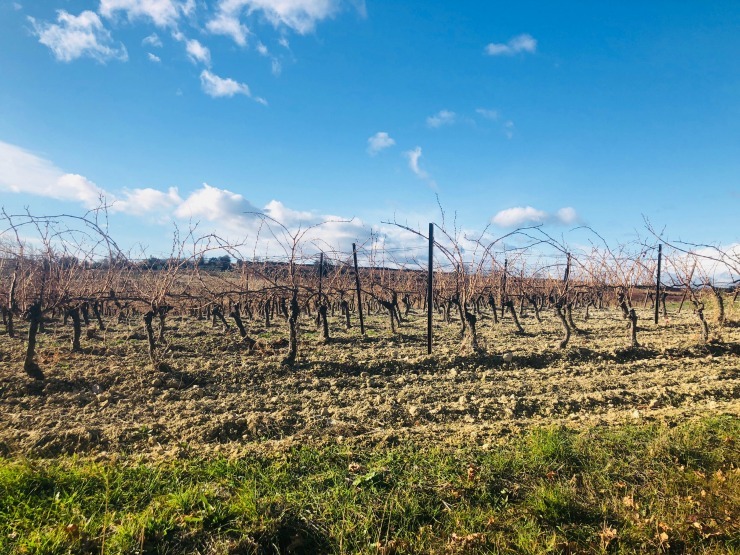 Corner units may have larger grassy areas, and a few even have infinity pools, while some second floor units have only a terrace, perfectly placed for incredible views of the sun setting over the vineyards. 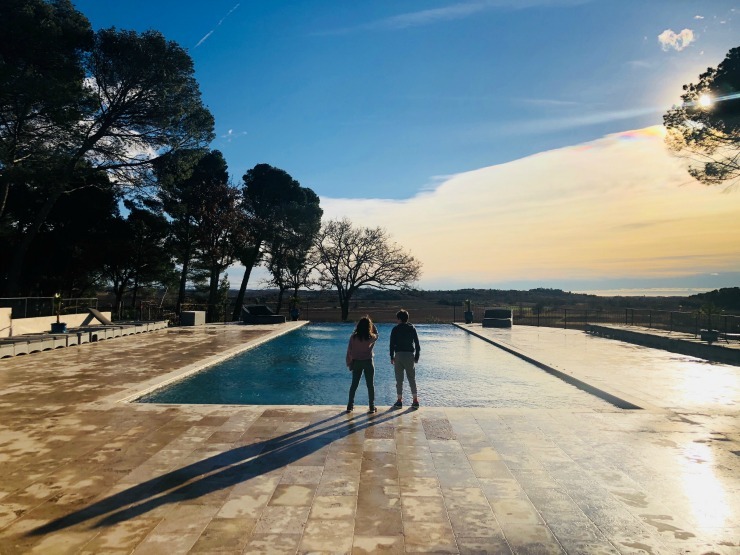 We visited in the winter so even though there wasn’t a single juicy grape to be seen, the setting was still spectacular. I could see how this would be an ideal place to bring the family in the warm summer months. 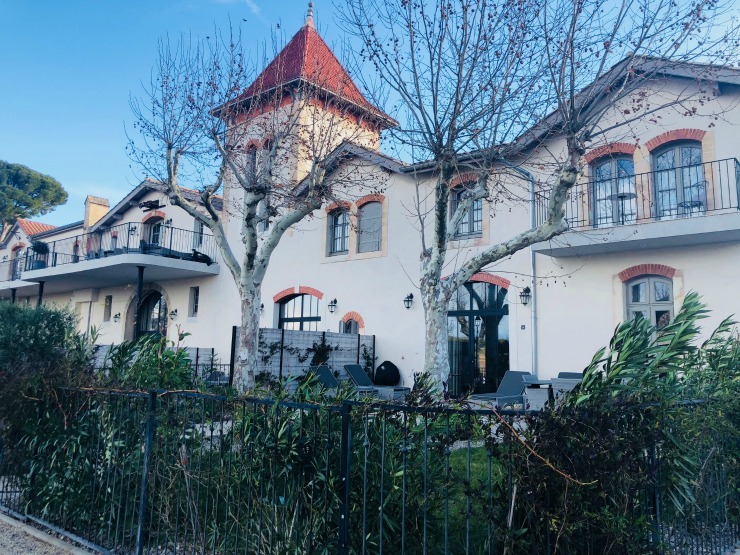 The Château has a large outdoor dining space that it uses for family style BBQ’s and to host separate kid dinners as well. There’s a kids club during the summer that keeps the young ones busy with activities so parents can relax and be off kid duty for a while too. 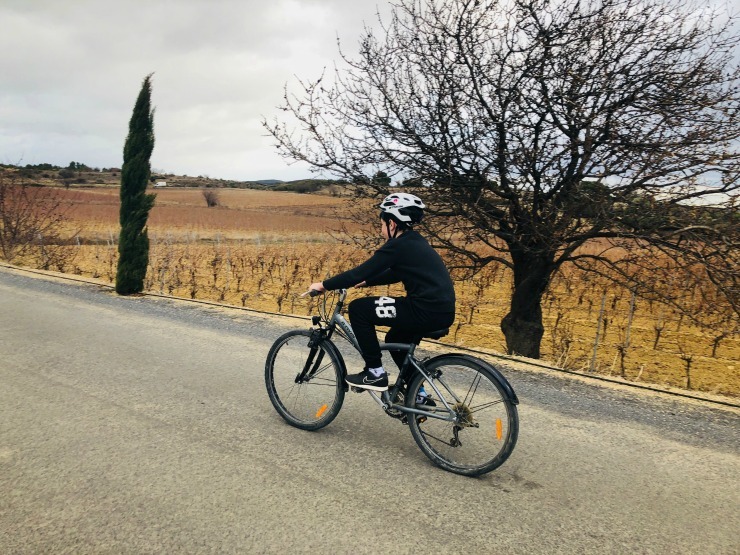 The chateau has plenty of bikes for families to use and we took full advantage of these! Our son Hudson did not know how to ride a bike. Yes, I know this is a bit embarrassing and a parent failure on our part. But he is a skateboarding kid so bike riding sort of took a back seat. We had just talked about New Year’s goals a few days before we arrived at the Château. Learning to ride a bike was one of Hudson’s goals for the new year. We were going to get this done! For two days we went out and rode bikes. We kept at it, though the wind and cooler temperatures weren’t much fun. On the second day it all came together for Hudson, and we had a blast watching him go! 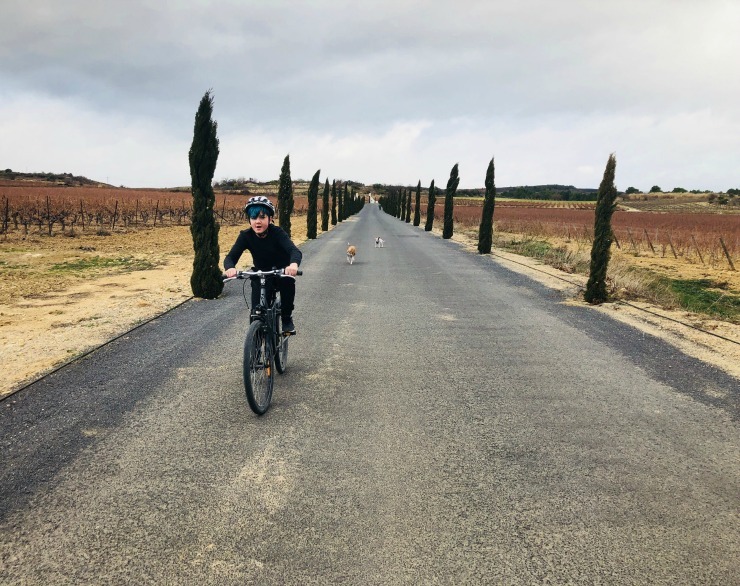 We will cherish this amazing travel memory; Hudson learning to ride a bike among the viness in the South of France. Honestly, this was the ideal setting because no one was around watching him. 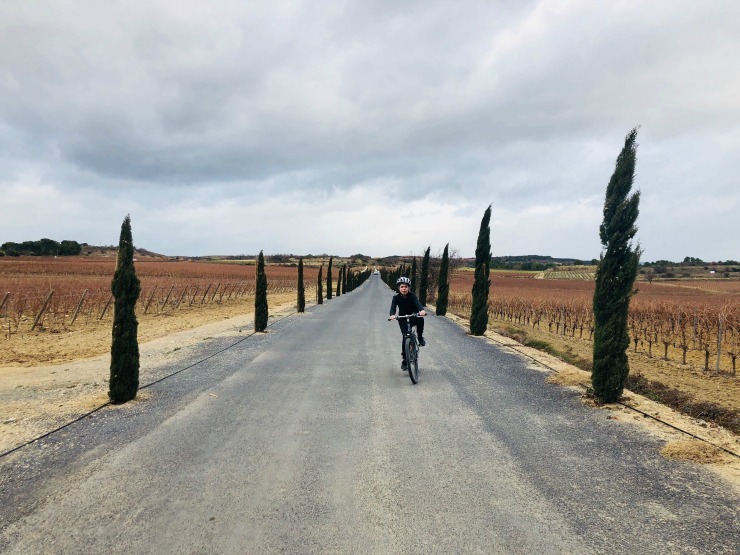 We had the bike paths and the long estate driveway all to ourselves. 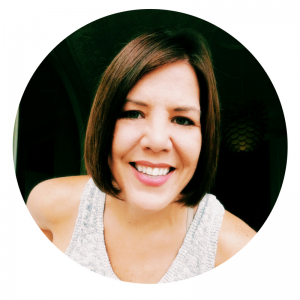 It can be a hard thing for a resort to successfully mix adult-friendly and kid-friendly. But Château St Pierre de Serjac has really achieved it. I get wildly excited about places like this because it’s a place that lets families settle in and engage with their surroundings. Just because I travel with my kids doesn’t mean I’m always looking for the waterpark and 75 kids activities. This Château stay is a slower paced vacation, and that’s okay in today’s world. Bring the cards and board games, read a book, go for long walks, ride bikes and don’t set schedules. Seeing my son learn to ride a bike was monumental. But really, I loved just watching my kids try to catch our new puppy Rex in the grass. Another treasured memory from our stay at Château Serjac. 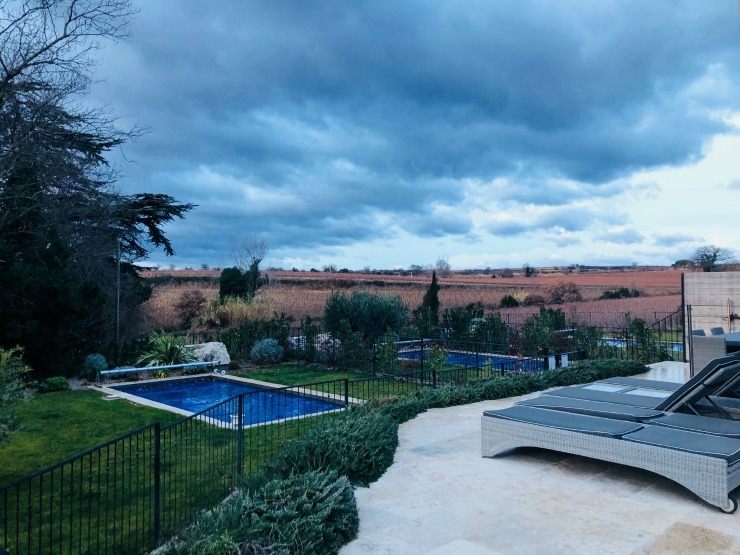 I truly cannot wait to go back and check it out in the spring or summer to enjoy one of their new wine walks and jump in the pool! 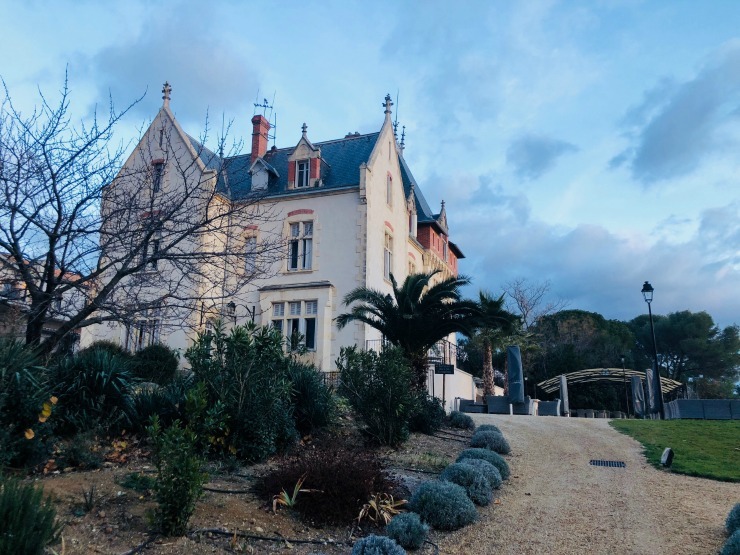 Disclosure: Chateau St Pierre de Serjac hosted our stay. It worked out for us to visit on our drive back from skiing in Morzine, France over Christmas break during the off season. My opinions here are honest and my own. I WILL go back in the regular season because I loved it so much.